At Montclair Auto Body in Ontario, our goal is not only to return your Acura to pre-accident condition, but also to provide first-rate customer service that you'll want to tell your friends and family about. We accomplish this with a friendly team of technicians and staff who treat you like family. And we promise to give your Acura the same attention and care that we do our own vehicles. In Ontario, Trust Montclair Auto Body After an Accident! 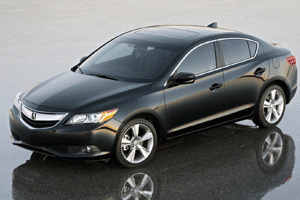 Please don't hesitate to bring your Acura to Montclair Auto Body in Ontario for quality auto body repairs! To make an appointment, contact us online or give us a call. We promise to put all of our skills, resources, and experience behind getting you back in your Acura and on the road as soon as possible.